Intuitive. Fast. 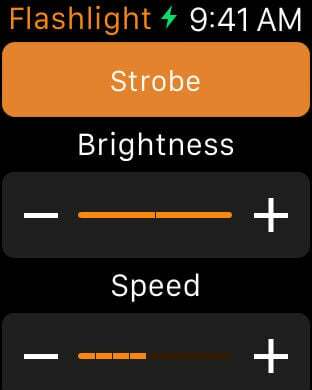 Flashlight with Apple Watch remote is incredably simple and easy to use. To turn the flashlight on or off, just tap anywhere on the screen. 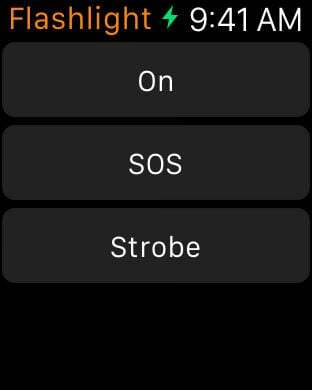 Tap and hold anywhere to start SOS signal mode. Pinch to start strobe mode. You can adjust the strobe frequency by pinching in to decrease and out to increase. 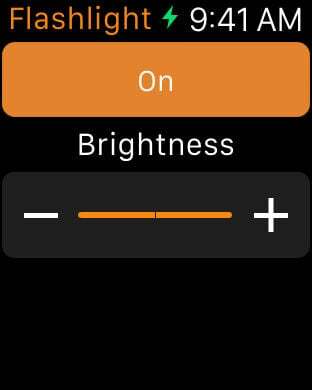 Brightness can be adjusted at anytime by swiping anywhere either left or right. Apple Watch support is built-in, with control for all three modes. With the Apple Watch companion app you can quickly launch the flashlight app on the iPhone through handoff. The flashlight app on the iPhone must be running in order for the remote to function.